Benefits of Reishi Mushroom That Heals Almost Any Disease! The reishi mushroom, also known as Lingzhi in Chinese, is the collective name for a group of fungi of the Ganoderma family, particularly the Ganoderma lucidum specie. For more than 2000 years, it has been used in traditional Eastern healing doctrines as ”the mushroom of immortality” for their astounding therapeutic action. In China, Japan and South Asia, Ganoderma (more commonly known as Lingzhi) is treasured like gold for its amazing healing properties for almost any health problems. Today, reishi mushroom is used as adjuncts to cancer treatments in Japan and China with great success. Throughout the centuries, scientists have discovered over 400 active compounds in the reishi mushroom, and confirmed its numerous health benefits. I’ve had previous experience with Ganoderma lucidum that has improved my health in many ways. Twice in my life when I had fertility issues, I took Lingzhi and within months I was able to conceive. I continued taking Lingzhi throughout my entire pregnancy, had absolutely no difficulty during my pregnancies, and were able to give birth to my beautiful and healthy babies. I recommended Lingzhi to a friend who was not able to conceive after being married for over ten years. During that number of years, she and her husband had spent tens of thousands of dollars on fertility treatments unsuccessfully, and were giving up hope. Both of them took Lingzhi diligently and within a few months she conceived! This is not to say that Lingzhi is only good for fertility issues, but that it has the ability to correct health issues in the body in order to give LIFE! That alone speaks volumes on the miraculous healing properties of the reishi mushroom. During a time when Lingzhi was very popular in my small town, I had witnessed many ailments and diseases being healed—sinusitis, migraines, diabetes, asthma, high blood pressure, psoriasis, and even cancer. This is why Lingzhi is treasured like a miracle “drug”, precious as gold. This was more than two decades ago, and a “cure” for cancer was not beyond reach even then. For a time, Lingzhi was “covered up” for its curing abilities, in favor of expensive drugs and various invasive treatments. After all, the pharmaceutical industry is what keeps the economy going! So many researches/studies have since been invested on the reishi mushroom. Ganoderma lucidum mushrooms are superior-class herbs. With this specie, there are a few types of mushrooms, differentiated by their colors: blue/green, red, yellow, purple, white and black. Each type has their own unique qualities, but the most prized of them all is the RED reishi mushroom. Red reishi mushroom is reported to promote vigor, prolong life span, strengthen the heart, improve cognitive function, stimulate brain power, boost immune system, calm the nerves, relieve allergies, reduce inflammation, strengthen cardio health and the list goes on …! Is it any wonder why reishi mushroom is named the “mushroom of immortality” or the “king of herbs“? How is it that a simple mushroom can have such a wide spectrum of health benefits? This is simply because reishi mushroom is one of the most important adaptogenic herbs. Adaptogens have the ability to adapt to your body, normalize, and bring balance back to your body wherever and however necessary. As a herb, reishi mushroom has a number of medicinal effects: Analgesic, adaptogenic, expectorant, antitussive, hepatoprotective, anti-inflammatory, antioxidant, antibacterial and antiviral. In the nutrients department, reishi mushroom contains calcium, iron and phosphorus as well as vitamins C, D, and B including pantothenic acid, which is essential to the functions of nerves and the adrenal glands. 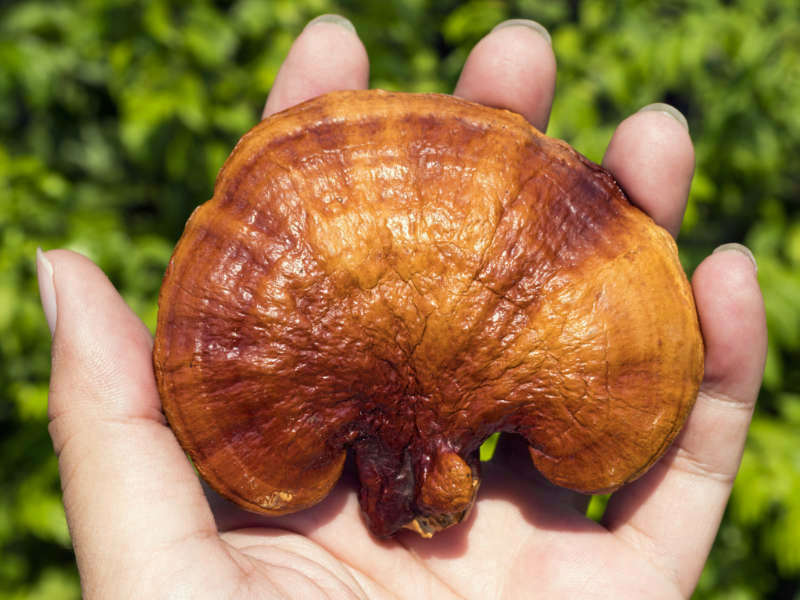 The benefits of reishi mushroom, or Lingzhi are wide and impressive. Taking it in therapeutic dosage helps your body to “reset” your health to where or what it should be. Oxygenates the blood and improve blood circulation. When blood circulation is improved, it is able to carry nutrients for proper distribution to the whole body for improvement of your health, naturally. All these contribute to enhancing and strengthening your immune system for healing, and help manage some of the most troubling chronic diseases. The beauty of natural medicine is that it works in harmony with our human body—destroying the harmful, and preserving the healthy. In most chronic diseases, there are high chances of an impaired liver. When liver health is improved, most of these chronic conditions will correct themselves. Several bioactive compounds of the reishi mushroom show strong anti-inflammatory properties which are extremely beneficial for all sorts of health conditions. A similar effect was found for this mushroom’s polysaccharides, which reduced oxidative damage and decreased brain cell death. In some other studies, these compounds were found to enhance cognitive function and promote the brain’s regeneration , meaning that reishi mushroom could be recommended as part of the treatment of such shattering conditions such as Alzheimer’s and Parkinson’s diseases. Studies reveal that supplementing with reishi mushroom has beneficial effects for stroke victims. It can limit the size of the stroke-damaged area in the brain, which helps limit behavioral and functional damage caused by the stroke. And secondly, reishi mushroom protects brain tissue oxygen starvation that occurs during a stroke that produces most of the damage in the brains of stroke victims. Studies on small lab and animal trials indicated that some of the reishi mushroom’s compounds (mainly oxygenosterols) have cholesterol-lowering properties [9, 10]. Eventually, this effect could help to fight the development of atherosclerosis, which is a major component of all cardiovascular diseases. The anti-diabetic properties of reishi mushroom also work great in combination with its cholesterol-lowering action, since these two conditions (diabetes and arterial plaque due to high cholesterol) are known to somewhat potentialize and worsen each other. Reishi mushroom also accelerate wound healing in diabetic individuals, due to the enhanced antioxidant function. Every allergy has an inflammatory component to it, but it turns out that the reishi mushroom’s help with that goes so much farther than just soothing inflammation. The polysaccharides of reishi mushrooms have been found to modulate the immune system so that it reacts more effectively to the attack of foreign invaders such as pathogens, while calming down an overactive immune system that’s attacking its own healthy cells. Furthermore, the ganoderic acids in this miracle mushroom have been shown to fight hyperactive immune system diseases, including allergies, by slowing down histamine release, improving the flow of oxygen, and boosting the functions of the liver. One of the primary purposes for which the reishi mushroom has been used in traditional Chinese medicine was to improve one’s ability to adapt to stress and combat it. In other words, it is a powerful natural adaptogen. Throughout the last decade, the fabulous reishi mushroom has been gaining huge popularity as a natural cancer-killer. Several studies have shown that Lingzhi is one of the most powerful mushrooms with regard to antioxidant characteristics that boost total antioxidant capacity to fight oxidative damages. Polysaccharides have anticancer effects due to their ability to prevent abnormal blood vessel formation, and to boost immune system function. Some of the compounds found in reishi mushrooms are directly toxic to cancer cells, while sparing healthy cells. Lingzhi compounds, particularly the triterpenes and polysaccharides, limit tumors’ growth rate by blocking the abnormal reproductive cycles of cancer cells. So, what kinds of cancer is it effective against? Let’s take a look at some of the available scientific data! Of course, the matter of cancer treatment is incredibly complex, with a lot of details that should be taken into account. And while more systematic reviews and large-scale controlled studies are needed to establish the perfect way of treating tumors with the help of reishi mushroom, the current evidence is incredibly encouraging, nevertheless. So, how do you take this wonder of nature to reap all of its benefits? For the time being, there are no universal recommendations on how much of the reishi mushroom you should take to maximize its benefits. It is dependent on your health condition. However, don’t forget that the recommended dose may vary depending on the specific type of product you choose (fresh mushrooms, powder, tincture, tea, extract). Start with a small amount, and gradually increase it. In any case, there is no known side effects from taking Ganoderma lucidum as a long-term supplement. One important thing to remember though, if you are taking Ganoderma lucidum extracts, most users report experiencing healing reactions. You may feel worse from taking the mushroom before you start feeling better again. This is completely normal and should not be considered as “not suitable” for you. 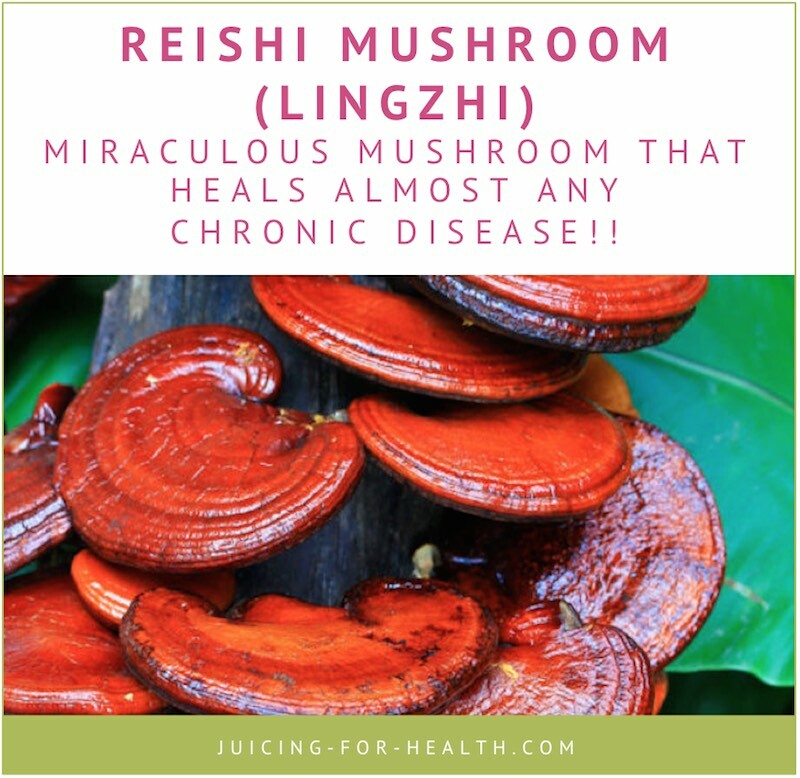 If you are unsure about using Lingzhi therapeutically for a chronic disease, do work with a qualified health professional or herbalist who has experience with reishi mushroom and who is able to help you with the right dosage for your condition. BUY >> Nature’s Way Reishi Mushroom. When Lingzhi first hit the market decades ago, it used to be distributed widely by a multi-level marketing (MLM) company. Although reishi mushroom supplements are now more easily available, certain brands of Lingzhi are still being distributed by MLM companies. There are pros and cons with the mushroom extract being distributed this way. Pros: Experienced distributors have access or knowledge to the workings of Lingzhi and often may be able to help share understanding of the mushroom and appropriate dosage for individual cases. Although distributors are not medically trained, they are trained in using the products. If you choose to buy with an MLM company, it is important that you work with experienced distributors. Cons: Prices may be marked up to pay multi-level commissions to their members. Dear Sara, are you taking this brand of Lingzhi too? 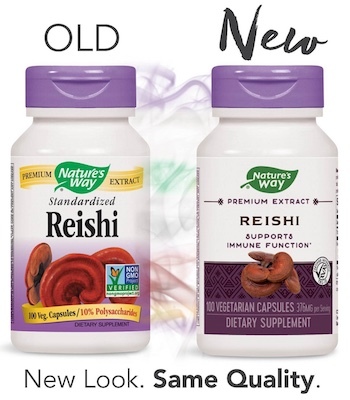 Nature’s Way Standardized Reishi. Thanks. I took Lingzhi from an MLM company but that was more than two decades ago. I now recommend these to my clients and see good results.